Samsung Electronic Co.'s recall of its Galaxy Note 7 product has been problematic - to say the least. Between significant drops in shares and the potential end of the entire Galaxy Note series, the South Korea-based smartphone manufacturer is facing a lot of issues right now. And major financial losses and reputation damage are just two of the challenges Samsung is being confronted with. But in order to truly understand how to come back from the debacle of exploding batteries, failed recalls and growing customer and stakeholder scrutiny, the company must first identify exactly what caused the issue in the first place - a task it has demonstrated as being far from easy at this point. Initially, after being forced to recall over 2.5 million Galaxy Note 7s just a month after they were first released in August, Samsung blamed the issue on one of its battery suppliers (though the vendor has not been officially confirmed by Samsung, there has been speculation that it is one of its subsidiaries, Samsung SDI). After removing the supplier from its production process, the company issued replacement devices - only to find that those, too, led to reported cases of catching fire. It then became obvious that the error was embedded deeper in the supply chain than originally thought. And perhaps more concerning than the problem itself is the company not knowing what caused it. After announcing this week that the halt in production of the faulty smartphones will be permanent, it is bringing to light some critical supply chain issues that are relevant and important for most organizations today. As the Wall Street Journal recently pointed out, when it comes to upgrading or manufacturing a product, quality control is critical. 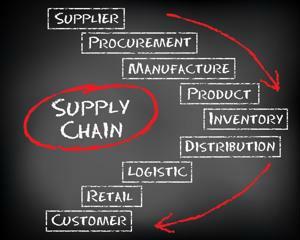 However, although advancements and innovations are continuously being made, modern technology and management software may not be able to adequately handle the increasingly complex nature of supplier networks. "A design flaw should have been caught during review and testing, and this is much harder to do at global scale with multiple suppliers and factories for the same part," Forrester Research Principal Analyst Frank Gillett told The Wall Street Journal. Many supply chain issues can be attributed to a breakdown in communication, integration and collaboration - both between internal departments and third-party vendors. The bigger and more complex a supply chain network gets, the more difficult it is to see into distant tiers and get a full view of a product's lifecycle. In an article for EPS News, Gina Roos pointed out some glaring issues with Samsung's supply chain strategy - which should serve as a cautionary tale to other retail and manufacturing companies, inspiring them to take necessary measures to avoid the same problems. In addition to not having a recall management plan in place, Samsung received most of its lithium batteries from one supplier, rather than allocating orders between multiple vendors. As such, it limits the company's options in the event that it is forced to recall a product. As supply chains continue to expand and incorporate new technologies - as well as suppliers - it is essential that managers are making visibility and traceability a priority. Failing to do so will make it not only more likely that an issue will eventually surface, but that it will be more difficult to pinpoint and resolve the source of the problem if and when one does emerge. One of the most damaging mistakes an organization can make is waiting until a disruption has already hit before assessing its risk management strategy. Because, at the end of the day, the companies that thoroughly plan and prepare for the unexpected are the most resilient. In addition, the trend to rush new products to market is a major contributor to Samsung's problems. In the past it took more than a year for a concept or idea to get to market. Due to competition, this cycle has significantly been reduced to a few months. This then puts the onus on the customer to test the product, which has proved disastrous for Samsung. I am seeing this in other industries, such as the automobile manufacturing industry.